Here is where the trails fork, and this time I'm taking the "road less traveled". It was the morning of Day One of my 'hike to Florida'. 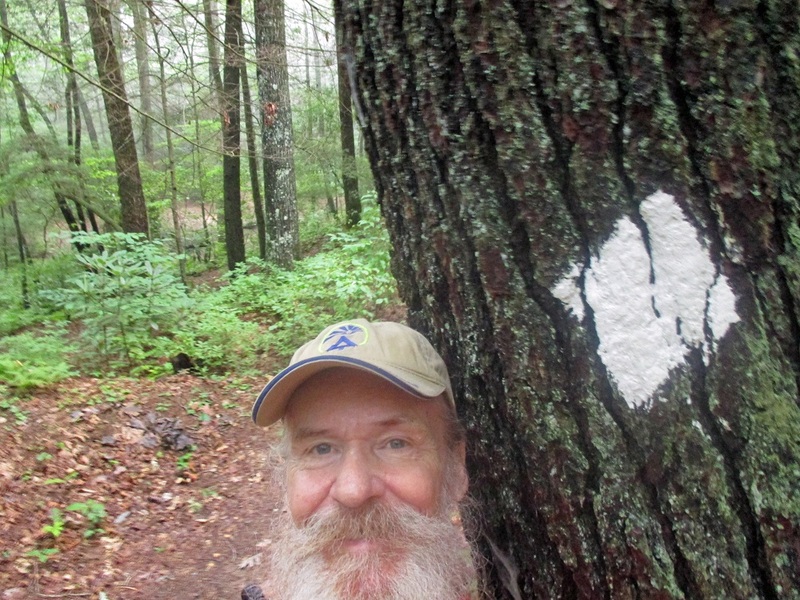 I started the day at Three Forks, which is the second road the Appalachian Trail crosses as it winds northward from its southern terminus at Springer Mountain. All but the least ambitious Northbound AT through hikers would pass this parking area on their very first trail day out. 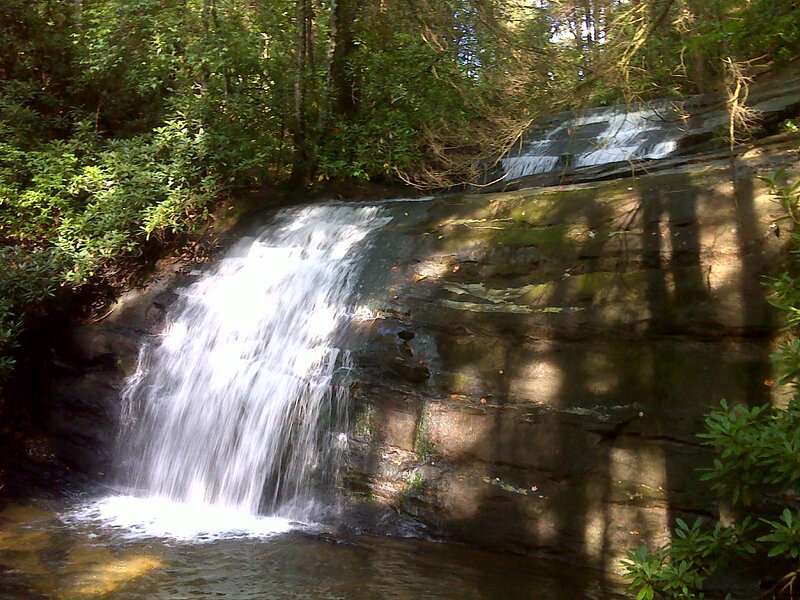 It is 4 1/2 miles from Springer Mountain. As I hit the trail I met some trail maintainers from the local Georgia Club and talked to a lady who knew AT Conservancy board member Lenny Bernstein (who I had met while hiking the AT in the area of Sam's Gap where he maintains a section). 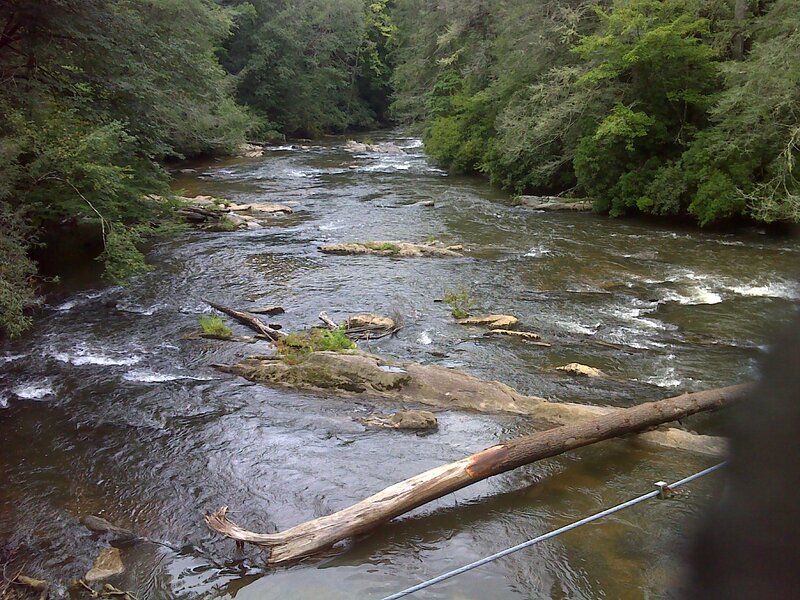 She also knew quite a lot about North Carolina's Mountains to Sea Trail. It was a short chat, as her first task was to take water quality samples from Long Creek not far from the parking lot. 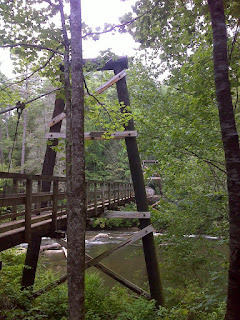 And that is where the Benton MacKaye Trail and the AT part ways (photo up top). My plan is that I will head northwest on the BMT for about 65 miles to where the Georgia Pinhoti Trail splits off and heads west. My route then takes me the full length of the Pinhoti Trail through Georgia and northern Alabama. 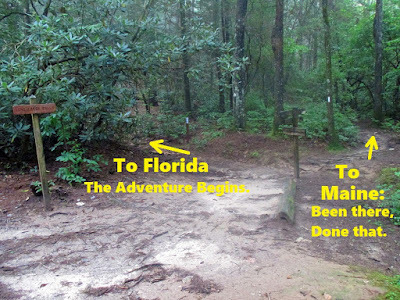 From there I will use a road walk connection established by the Great Eastern Trail to get to the Florida border where I'll pick up the Florida Trail. Today's endeavor was much smaller in scale--to settle in to the Benton MacKaye Trail and get used to following its white diamond blazes. As I suggested above this trail is far less used than the Georgia AT, yet it is well maintained and blazed and easy to follow. 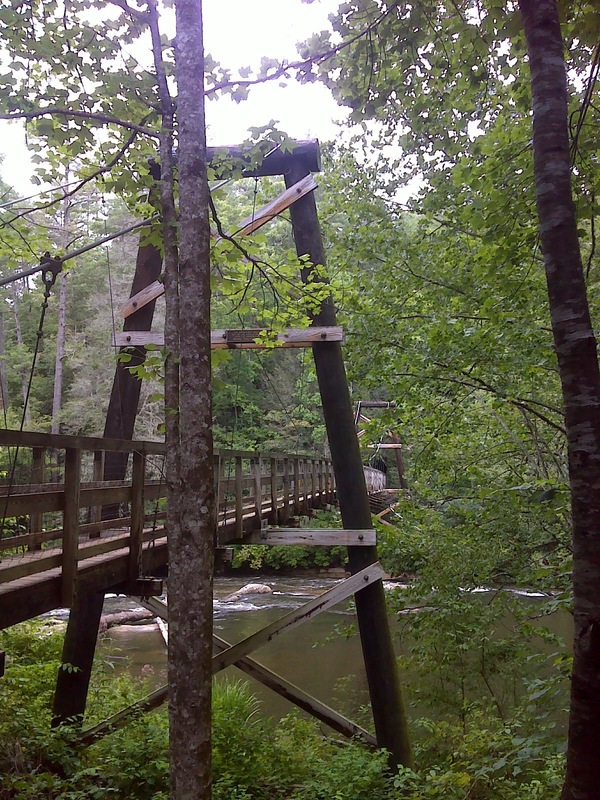 After Long Creek Falls it climbed up to a ridge and followed that for five miles or so before plunging about 1200 feet in elevation to the Toccoa River where the US Forest Service and Georgia Appalachian Trail club have built a most impressive suspension foot-bridge. It's no small river. That was my turn-around point for a 16 mile day. Weather was cool and humid, but reasonably comfortable. I'd say that the new adventure is off to a good start. Here's a map of the out-and-back hike I accomplished today--about 8.3 miles of trail including one mile of AT that I had hiked in 2012. What an awesome journey! Will you be using your van as base camp and doing out-and-back hikes like you did on the AT? Hi Dan - that's how I'm beginning it, with out-and-back day hikes. But I'll be using roads or alternate trails for the return leg in places where that can provide a short cut or change of scenery. 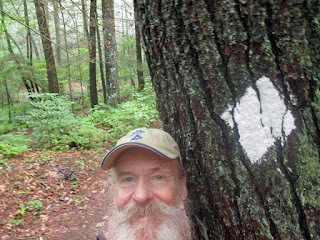 I have no commitment to 'religiously' pass every white blaze both ways as I did with the AT.